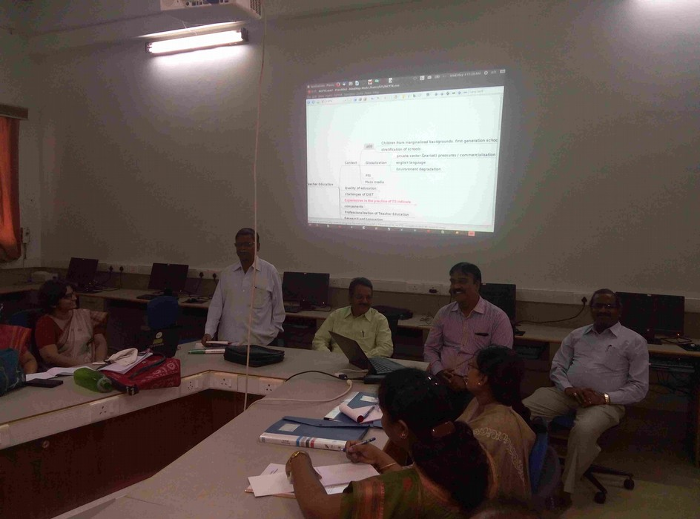 The Communities of Practice for Teacher Educators workshop was conducted at the RIE Mysuru (Regional Institute of Education) from 4 to 7 May, 2016 for DIET Principals from all districts of Karnataka state with support from DSERT and CEMCA. In his inaugural address, Prof. D.G. Rao, Principal RIE Mysuru stressed on the need for continuous professional development (CPD) for DIET faculty, specially for Principals. The heads of institutions require to be aware of the latest advances in the field of education, specially education technology. Representing Director DSERT, Sri Manjunath, Senior Assistant Director DSERT (Department of State Education Research and Training), spoke about the creation of the “Teacher Educators - Community of Practice” for DIET faculty in Karnataka, over the last three years, and the need for Principals, as heads of DIETs, to participate in and support the COP. Participants learnt Internet, email and mobile apps to support their self and peer learning. They learnt about institutional work planning using Calendar, and Digital Resource Centre creation using cloud storage. 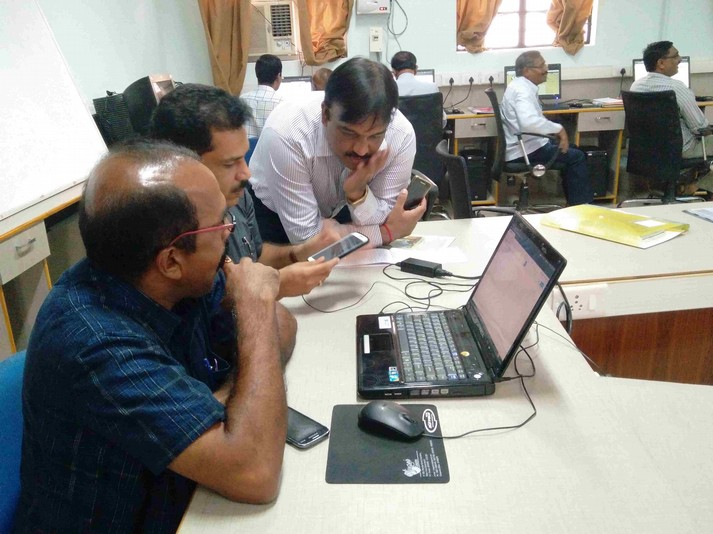 They were oriented to the use of on-line survey forms for collecting teacher training needs. Free educational software tools such as Geogebra and Freemind were demonstrated to the participants. All participants were enrolled in the COP mailing group and a mobile phone group for DIET Principals was created during the workshop. DSERT will need to support and monitor the implementation of these projects in the DIETs and support peer sharing and learning in this process, that will also build the COP. For many of the participants, this was their first exposure to ICT, hence there is also a need for continuing the capacity building process of the group.